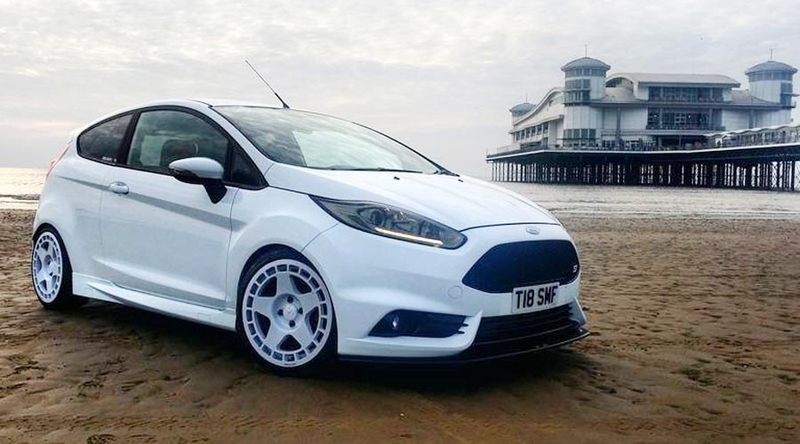 If you're looking for aftermarket alloy wheels for a Ford Fiesta MK7, you really are spoilt for choice depending on the overall style you want to achieve. These wheel sizes are for those who simply wish to fit a set of aftermarket wheels to their Fiesta MK7 without modifying any of their bodywork. 17x8 wheels will bolt straight on (so long as you're not using massively oversized tyres), with ET30 being the optimum offset to achieve a "flush" fitment. These wheel sizes are for those who are willing to roll and/or pull their wheel arches, or fit bolt-on extended arches. 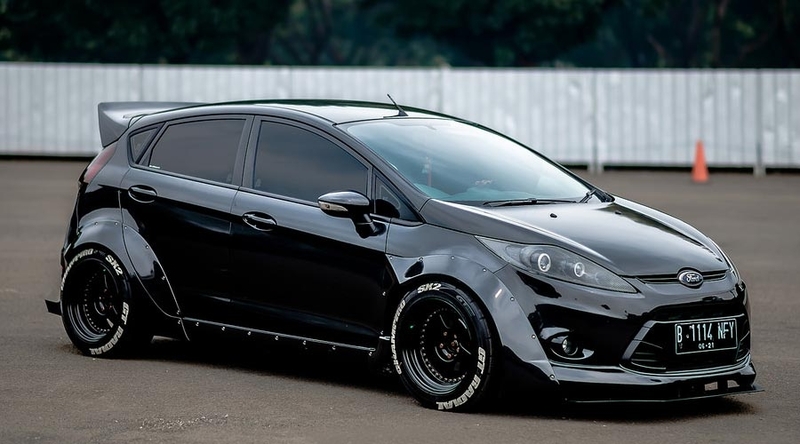 Combined with a stretched tyre and a small dose of negative camber you'll have a seriously strong looking Fiesta MK7 with minimal effort. With wide arch kits, tire stretch and negative camber anything can fit if you put your mind to it. 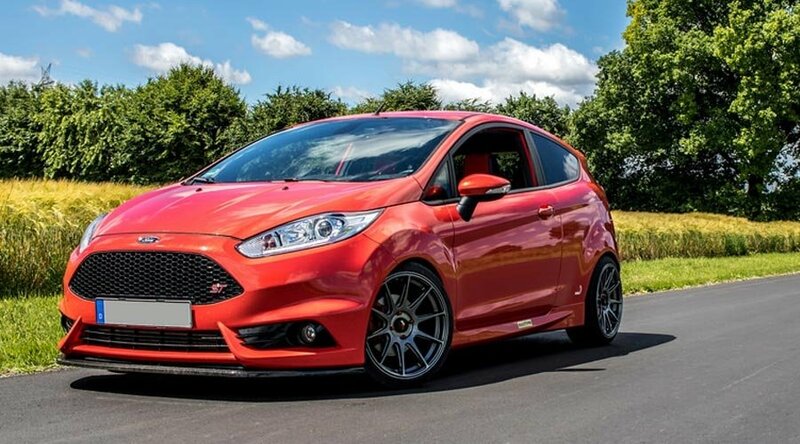 9"-11"+ wheel widths are all possible should you be willing to modify the bodywork on your Ford Fiesta MK7 with extended arches, overfenders or a large amount of metalwork.